Up for review today is the Davidoff Aniversario Special T. Given this cigar is from Davidoff I’m excited almost by default. But the Special T is, well, special, partially because of it’s unique pyramid shape. The slowly narrowing format practically guarantees an interesting, dynamic smoke experience. With that background out of the way, let’s get on with the review. The Special T size was first introduced by Davidoff in 1993 after the company released its first robusto sized cigar. The Davidoff Special T is presented in a really unique pyramid shape. 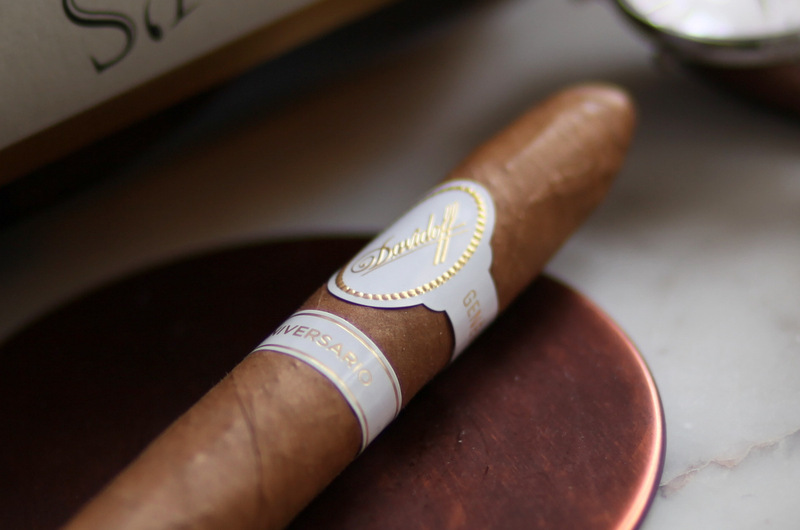 The branding is classic Davidoff, with a dual white band and gold text. The outter wrapper is golden brown with few visible veins, and to the touch is mostly smooth with just a bit of texture. Off the foot of the cigar I pick up deep wood, nuts, and earthiness. After clipping the cigar with a straight cut, I take a cold draw. The draw is perfect and releases tons of white pepper, granola, cocoa, and wood. The Davidoff Special T opens with lots of mild bodied, mellow smoke. It presents an enjoyable initial flavor profile with rich cedar, touches of floral, a bit of vanilla, and that characteristic Davidoff mustiness which reminds me of climbing in to an old, dusty attic. The retrohale is a different story, with concentrated white pepper and wood. An inch or more in, the white and gray ash still holds solidly, with a straight burn line. The flavor profile is mostly unchanged, except for a sweet butter texture that develops on the palate. As the cigar burns in to the second third, the burn remains razor sharp. The flavor on the palate develops a bit, adding a really enjoyable black pepper that pairs well with the cedar, cream, and vanilla notes. Strength wise, the cigar has climbed to below medium, while the body of the smoke remains mild. Although I’m enjoying the cigar at this point, I’m not enchanted. The strength has certainly moved, but the flavors haven’t developed as much as I’d like on a $25+ cigar. Heading in to the final third, the retrohale ramps up with black and white pepper, and substantial spiciness. On the palate, the smoke builds in strength, with a huge amount of cedar, black pepper, and some salt. After a relatively mild first half, this is a nice development, and a direct result of the tapering ring gauge. After about 10 minutes of this profile, the cigar has run its course and I set it down. The Davidoff Special T is no doubt an enjoyable cigar. 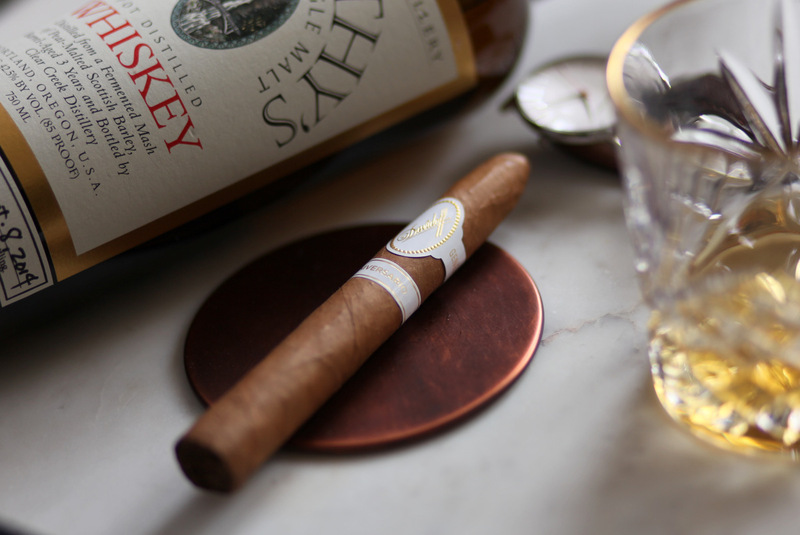 But it doesn’t match the complexity or dynamism of other Davidoff blends like the Millennium Blend or the Colorado Claro. If you’re a Davidoff enthusiast, give this smoke a try. Otherwise, there are other better Davidoff’s to prioritize. Yes, not extraordinarily dynamic, but a very pleasant morning smoke.